We took Mia to the beach for her first time yesterday. She loved it. Every bit of it. Not even the sting of the salt water in her eyes seemed to bother her. It's been so fun to have this time with her. 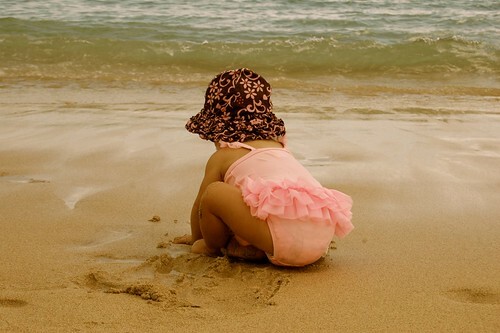 I miss my Bella and Asher so much but I know this time here will be gone soon, so I'm soaking it up with our little beach babe. The pause from our usual routine has been good for all of us. The beauty of Hawaii is is the perfect reminder to me of God's amazing work. Not just in the obvious beauty of the beaches and blue skies. But in the memories and years that have passed since we were last here. The changes and growth. The old and the new. The losses and gains. It's all so beautiful. And being here just reminds me of it. Sometimes I think God takes us back somewhere to show us just how far we've come. Maybe we forget. Memories fade. Details blur. Time seems so quick between then and now. But going back. It makes you appreciate even more the path that you've walked on that has brought you to now. It could never be replaced. The lessons. priceless. The growth, precious. And seeing it through new eyes. The eyes of a little girl who means more to this mama than she may ever know.....Well it's just been precious. And good. And needed. And so like God. He works all things together for our good. Every step. Every valley and every peak. It's all for something. All leading us to one place. 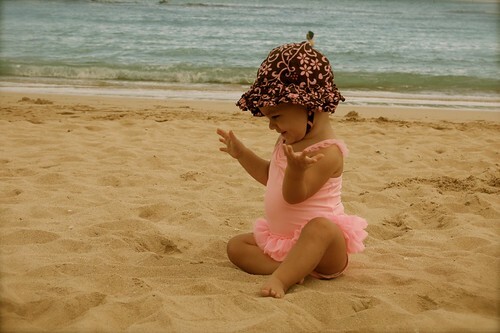 And again you'll see through the eyes of a little girl"
Love to you all from Hawaii! 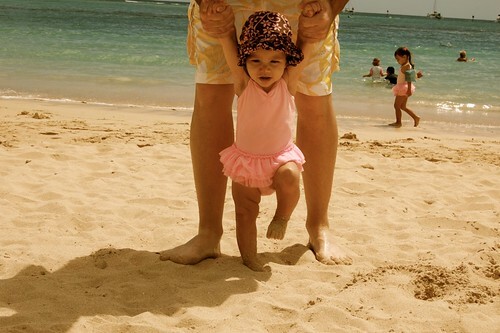 Your baby is so precious (as is that swimsuit)! :) Looking back is so important... we're often so busy forging ahead that we forget to remember where we've come from and the blessings God has placed in our lives. I hope you're enjoying your Hawaii vacation! Waving to you from Maui! i love the times i have one on one with my children. such bonding moments. So grateful you get this time together and these pictures make my heart melt! Love you, safe travels friend!